Atlantic City is a beautiful community located along the coast of New Jersey. It attracts millions of tourists every year who come to partake in the city's spectacular attractions, which consist of exciting casinos, wonderful beaches and historical sightseeing. No matter what style of vacation you are planning, Atlantic City is a diverse city with lots of great things to see and do. 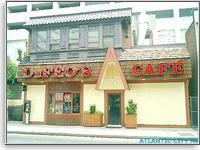 If you enjoy sightseeing, then Atlantic City has a large number of terrific historic sites for you. Come marvel at the Absecon Lighthouse, the third tallest lighthouse in America, explore the Atlantic City Historic Museum for a real slice of history or visit Steel Pier, the city's 100-year old, completely rebuilt waterfront amusement park. Atlantic City has these attractions and many more for those interested in American history or just people interested in taking some excellent photographs. Atlantic City has thirteen casinos that redefine the meaning of the word luxury. These magnificent gaming palaces feature thousands and thousands of slot machines and any popular table game you could possibly dream of. Millions and millions of dollars went into these casinos, bringing you the ultimate gaming experience you just can't find anywhere else in America. What's more, many of these casinos have been built as resorts, so you can stay in one of these luxury resorts as well as enjoy the casino floor. Atlantic City is home to a number of waterfront amusement parks. Relive all the excitement of Coney Island in these fun parks filled with midway games and roller coasters. Places like Storybook Land and Steel Pier make the amusement park experience safe, fun and clean once again. These fun filled parks make perfect outings for families with children. The amusement parks recapture all the glory of America's famous amusement parks set on piers that stretch out across the sparkling Atlantic Ocean. No matter what you are looking for in a vacation, Atlantic City is certain to deliver. Not only is this great city filled with wonderful sightseeing opportunities, but also the attractions themselves are so much fun you will want to come back again and again.